The war on drugs has not worked. 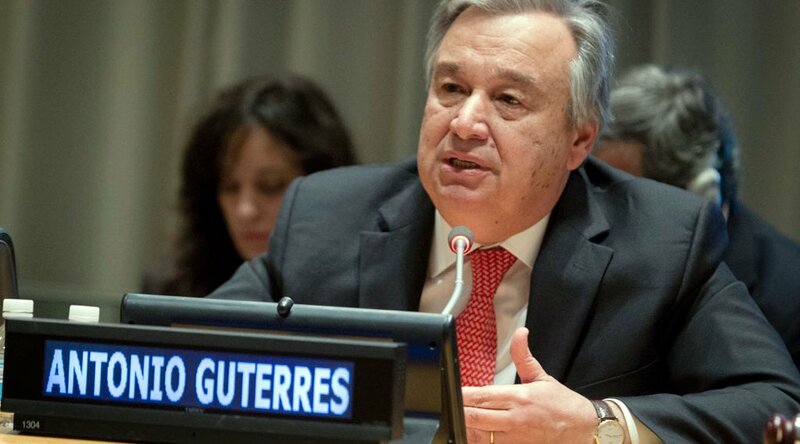 Guterres could lead to a way forward. The appointment of Antonio Guterres as the next United Nations Secretary-General (SG) could potentially usher in a new era of how the world approaches drugs and the people who use them. During Guterres’ term as Prime Minister of Portugal (1995-2002), he pushed for a nationwide decriminalization of use of all drugsfor personal consumption and put in place a comprehensive strategy to reduce drug-related harm through a framework based on public health rather than criminal justice. After Spain and Italy, Portugal became the third member of the European Union to follow such a framework. For the past 16 years, Portugal has stayed on this path and, today, has much to share with the world when it comes to drug policy reform. How will the new SG bring these lessons home to the UN? Prior to the reform, people who used drugs and others caught in possession with illegal drugs would face imprisonment. Once the law changed and illicit drug use stopped being prosecuted, however, the government hosted so-called “dissuasion commissions” that aimed to inform people and dissuade them from drug use. This new approach was also reflected by placing the commissions under the Ministry of Health, rather than the Ministry of Justice. Interestingly, dissuasion commissions helped both to relieve the criminal justice system and re-categorize small drug possession as a low-level administrative fault. This led to a reduction in the number of people detained and sent to criminal court for drug offenses, from over 14,000 in year 2000, to in between 5,500 and 6,000 per year once the policy came into force. More importantly, in our view, are the implications that Guterres’ drug reform had on public health. During over a decade of implementation, Portugal saw the number of drug-related HIV infections decrease by 99%, and levels of drug use in the country fell below the European average. Moreover, following decriminalization, drug use among adolescents decreased for several years. Aggregate drug use rates declined over a 15 year period, and today the number of deaths because of drug overdose in Portugal is one of the lowest in the European Union. The success of adopting a public health approach to drugs, as directed by Guterres in Portugal, offers great potential for him, as the new Secretary General, to bring these lessons to the United Nations. The leadership that the SG may show to Member States can, in turn, help shape a new era of smarter and better drug policy, urgent in many countries around the world. Three countries will illustrate why: Sweden, Mexico and the Philippines. In Sweden, the overarching vision of drug policy is to create a drug-free society. The cornerstones of the policy have been prevention, law-enforcement and abstinence-based treatment. Sweden, previously criticized by the UN’s High Commissioner for Human Rights for violating the human rights of people who use drugs through its harsh and restrictive approach to drugs and the people who use them, is finally heeding global guidance, evidence, and best-practice. At the 2016 United Nations General Assembly Special Session (UNGASS) on drugs, Sweden along with other European countries made a statement in support of harm reduction. The national guidelines for opioid substitution therapy (OST) were updated in 2016 and some of the strictest regulations were loosened. This included removing the requirement of one year documented injecting drug use to qualify for treatment and initiating self-management of medication at three months instead of six. Still, this three month rule only applies if the patient is assessed as stable, which means they come every day to pick up their dose at a given time, and does not test positive for any other illicit drug. The availability, accessibility and quality of opioid substitution therapy remains a major challenge, due to the permeation of an ideology of punishment and control. Another key intervention part of the UN’s recommended comprehensive harm-reduction package are needle and syringe programmes (NSPs). While NSPs are now available in at least eight of Sweden’s cities, there is no programme in Sweden’s second largest city Göteborg. In Sweden, health is decentralized to regional governments. However, in accordance with the law regulating NSP, local government has a right to veto the establishment of NSPs in the municipality, which has been the case in Göteborg. In stark contrast, the NSP programme in Malmö turns 30 next year. Finally in March this year, the local Government, after pressure from the central Government and other actors, decided to allow the establishment of an NSP. But local politicians interviewed after the vote stressed that their position had not changed. They want to offer a way out of drug use, not provide the tools to continue using drugs. All the while, HIV prevalence is estimated at 7% and about 800 people who inject drugs are newly infected with hepatitis-C every year in Sweden. NSPs are a proven prevention intervention for both of these infections. Drug-related deaths in Sweden are among the highest in Europe. Yet, Naloxone, a would-be take home prescription-free antidote to drug overdose, is currently only available in hospitals and through emergency services. In 2014, WHO recommended that “that people who are likely to witness an opioid overdose, including people who use opioids, and their family and friends should be given access to naloxone and training. ” There is a pilot study in the pipeline to distribute the Naloxone nasal spray to people who use drugs and their networks in Malmö and their friends and family to prove effectiveness and there has been a request for a license to supply the drug in Stockholm. But no national programme is planned. Much more is needed to protect the health and human rights of people who use drugs in Sweden. And while the number of young people who have ever tried to use drugs in Sweden remains low, the key statistic often paraded by the Government as the indicator of success of Swedish drug policy, it cannot justify an approach that continues to cause human rights infringements with the consequence of exceptionally high mortality and morbidity among people who use drugs in Sweden. Meanwhile, in Mexico, the worldwide-known case of the Ayotzinapa mass disappearance of 43 students and the massacre in Tlatlaya, which saw a crackdown on drug users as criminals by soldiers, reflect the failures of war as a tactic against drugs. The militarization of Mexico’s approach to drug laws has resulted in violence from illegal drug trading that has caused the deaths of over 100,000 people, 20,000 disappearances, and approximately 50,000 children losing either one or both of their parents. The approach taken by the Mexican government has overwhelmingly failed to deter young people from using drugs. At the 2000-mile US-Mexico border, Mexican drug cartels recruit numerous young Latinos in Southern California to smuggle drugs and engage in other illicit drug-related activities. As a result, the leading cause of death for young people has been homicide. The war on drugs has also resulted in other negative externalities like enforced disappearance, arbitrary detention, torture, forced internal displacement, and death. During the armed clashes that took place between 2008-2010 in Mexico, the Federal Police had a fatality rate of 2.6 -that is, in the clashes that involved the police, 2.6 suspects died for each one who was injured. The fatality rate for the Mexican Army is 9.1 and Navy’s is 17 deaths for each wounded. The rise in the incidence of homicides in Mexico since 2006, when Felipe Calderón decided to use the Mexican Army to fight drug traffickers, is unprecedented for a country that is not in formal war. Indeed, as elaborated in a recent article in The Lancet, the epidemic of violence unleashed by the policy of zero tolerance and drug prohibition has even had a negative impact on the projection of life expectancy. Another study shows that, in the period 2008-2010, the state of Chihuahua in northern Mexico (one of the states most affected by drug - related violence), young men saw their life expectancy reduced by 5 years. As The Lancet concludes, no other country in Latin America -and very few in the world- has experienced so rapid a mortality growth in such a short time. Lastly, in the Philippines, President Rodrigo Duterte has waged an all-out campaign against illegal drugs. Since 1 July, over 6,268 people have been killed in the war on drugs, about 2,219 of whom were killed during police operations. Prisons stand at 380% occupancy. Moreover, data on the total number of drug users, the number of users needing treatment, the types of drugs being consumed and the prevalence of drug-related crime is exaggerated or doesn’t exist. President Duterte has referred to innocent people and children as “collateral damage” in his quest to eradicate drugs. Seldom discussed is the rising rates of HIV among people who inject drugs. Although needle sharing still comprises a small portion of the total number of HIV cases since 1984 (4.5%), 99% of these were detected in the past 6 years alone. In Cebu, one of the few regions where people who inject drugs have accessed HIV testing, HIV prevalence has increased significantly from less than 1% in 2009 to 53.82% in 2011. As Philippine drug laws still criminalize possession of drug paraphernalia, clean needle programs are not possible. An Operations Research was attempted to explore clean needle distribution in 2014, but this was shut down a mere 5 months into its intended 2-year run. The case of Portugal, in stark contrast to those of Sweden, Mexico and the Philippines, offers an opportunity for the incoming UN Secretary-General Guterres to positively influence and innovate global drug policy. The effective policymaking he guided during his time in the Government of Portugal stands as the persuasive testament that can help shape how UN Member States promote human rights for all, including for people who use drugs. Aram Barra is a bachelor in international studies and a masters on public policy and public administration from New York University and University College London. He has completed drug policy and human rights studies at the Central European University. He currently works as an independent consultant on human rights, citizen security and public health in Mexico, Colombia, Venezuela, Brazil, Guatemala, Honduras and El Salvador. Patrick Louis B. Angeles, Policy & Research at NoBox Philippines, advocates for harm reduction and drug policies that are based on good evidence and human rights in the Philippines. He dreams of a world where he doesn't have to advocate for these anymore, because they're just accepted as best practice.